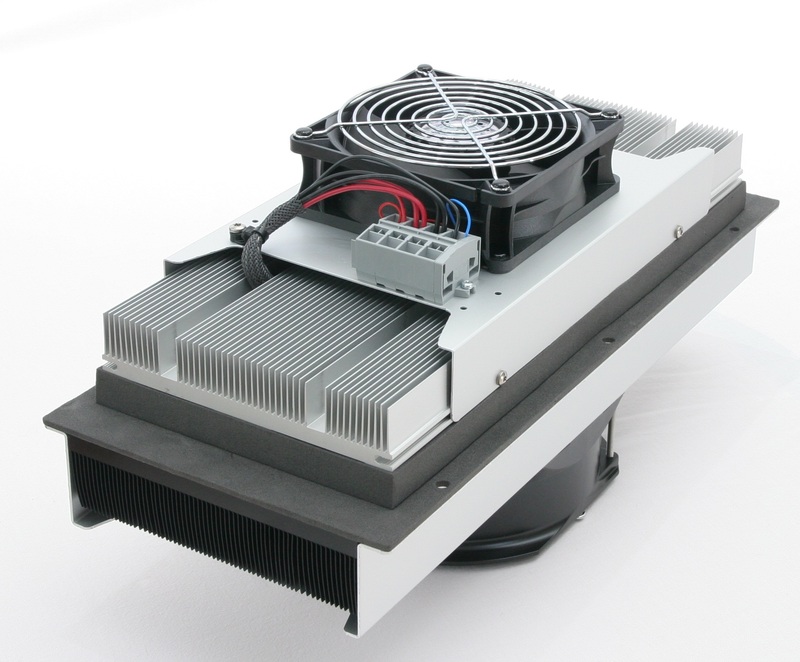 The Outdoor Cooler Series is an Air-to-Air thermoelectric assembly (TEA) that uses impingement flow to transfer heat. It offers dependable, compact performance by cooling objects via convection. The AA-250 has 26% higher cooling capacity and a 21% boost in efficiency over standard models with same geometric configurations. Heat is absorbed and dissipated thru custom designed heat exchangers with high aspect ratio, air ducted shrouds and high performance fans. The heat pumping action occurs from custom designed thermoelectric modules that achieve a high coefficient of performance (COP) to minimize power consumption. This product series has been designed to pass rigorous Telcordia test requirements conducted by our customers, such as earthquake resistance, salt fog, wind-driven rain, high temperature exposure and dust contaminants. This is due to the selection of world class components such as brand fans with the highest degree of environmental protection and lifetime guaranteed waterproof connectors, heavy duty anodization on the high-density heat sinks, overheat protection, and double environmental seals for the thermoelectric modules.